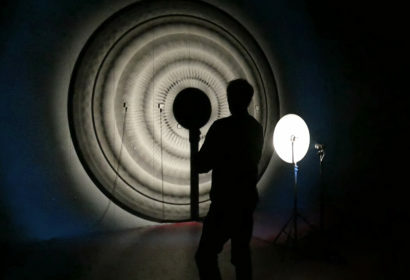 No one ever discovered Nibiru – ‘Planet of crossing’- the ninth planet that passes our solar system ones in a 3000 years. 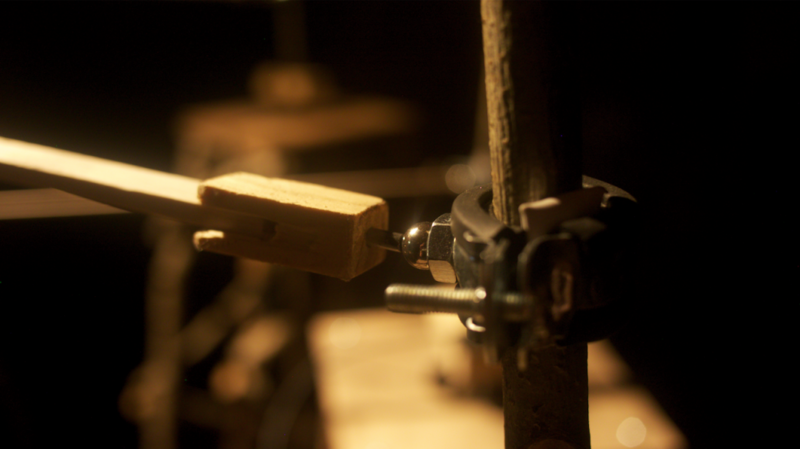 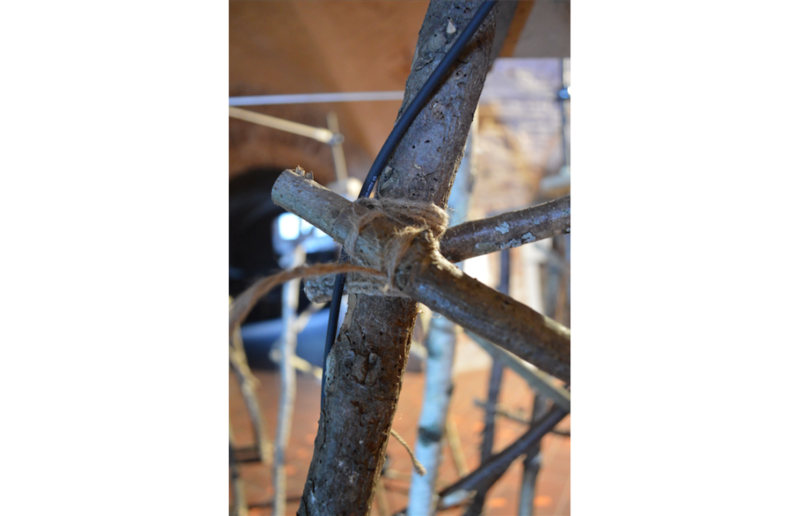 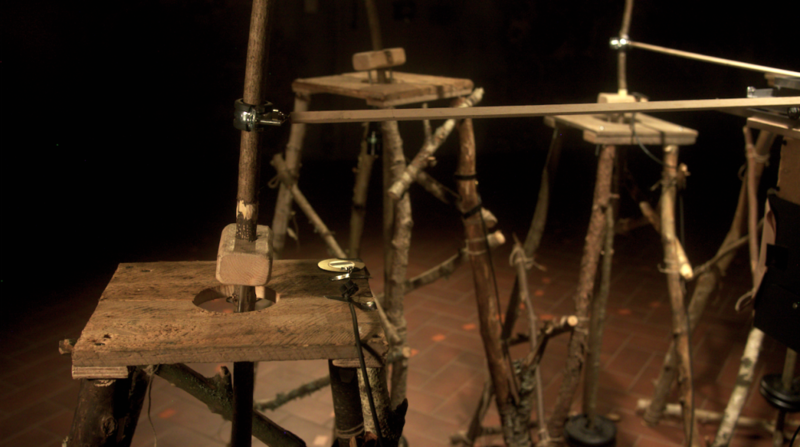 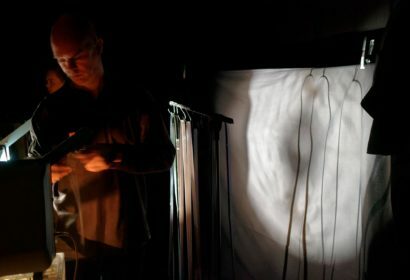 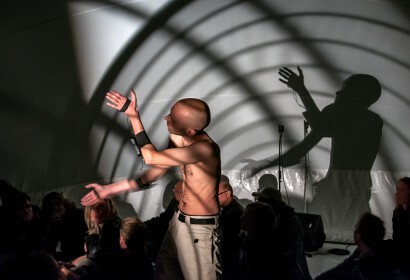 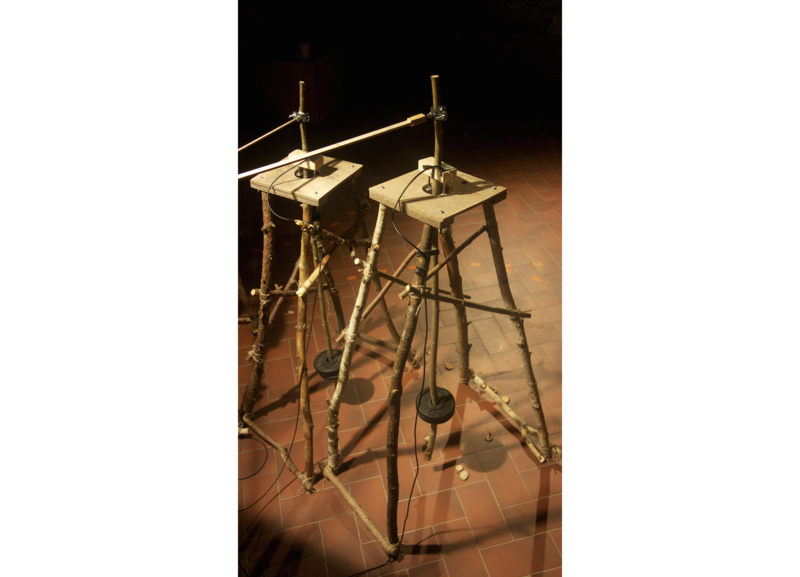 During the performance De Groot intends to track the trace and shape of Nibiru with a simple, unstable human handmade apparatus made of scratch materials. 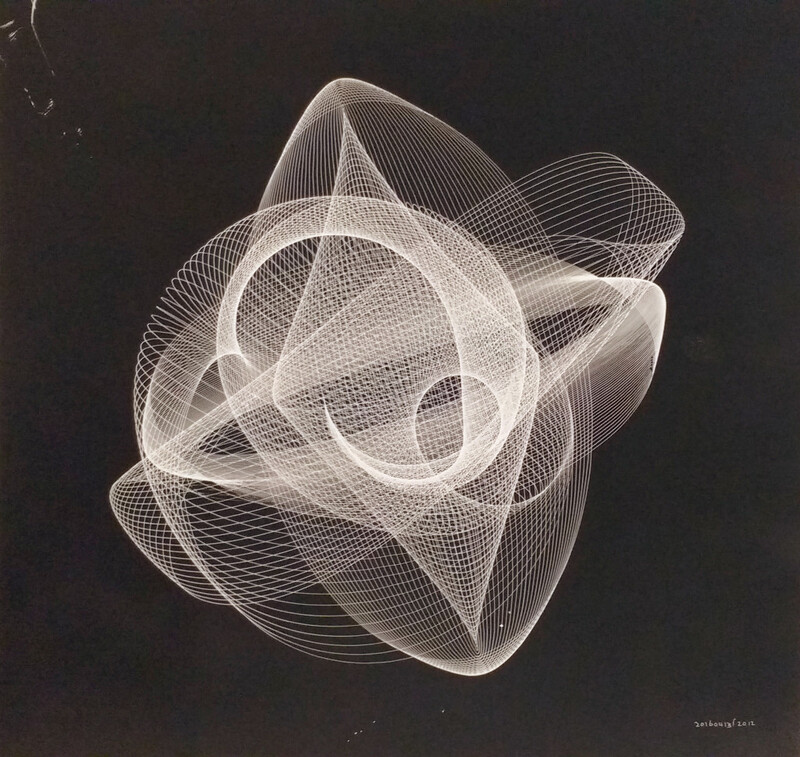 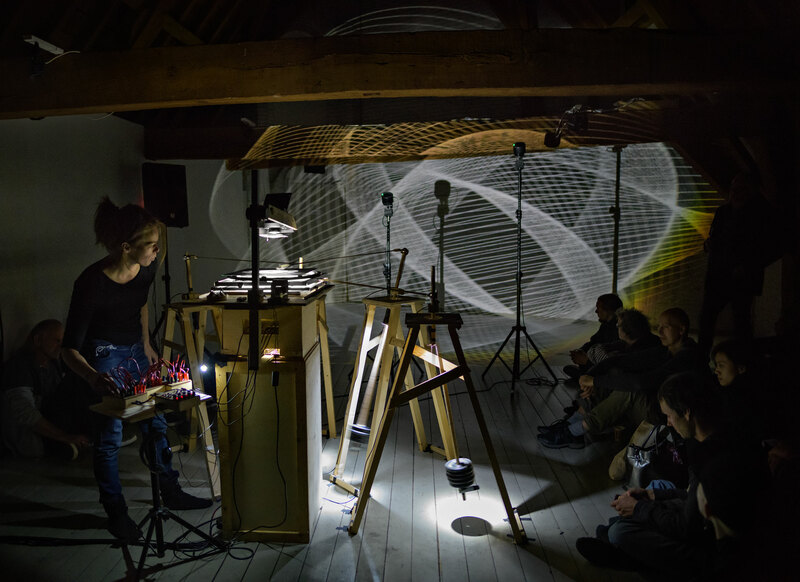 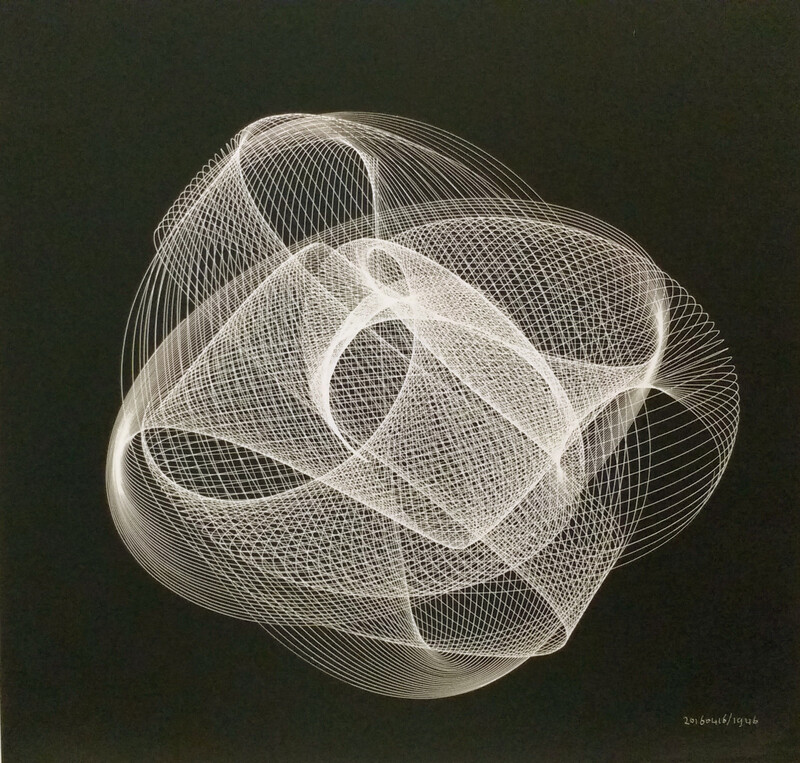 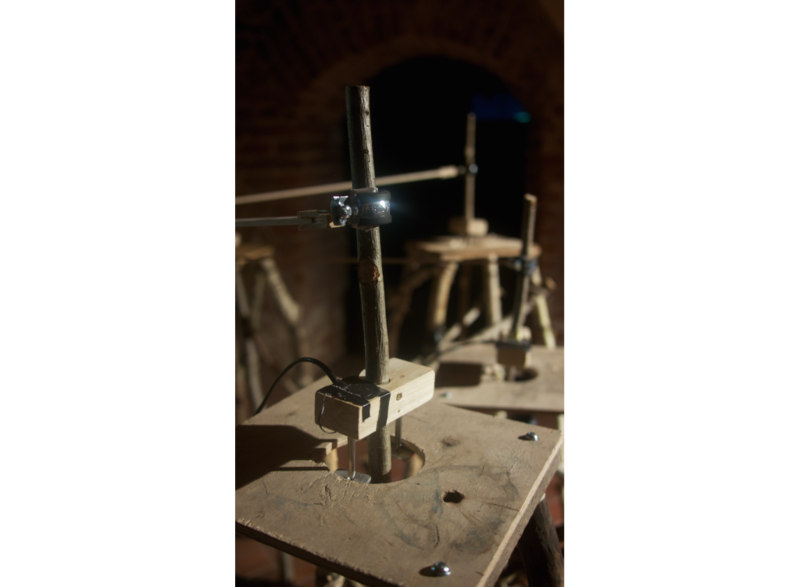 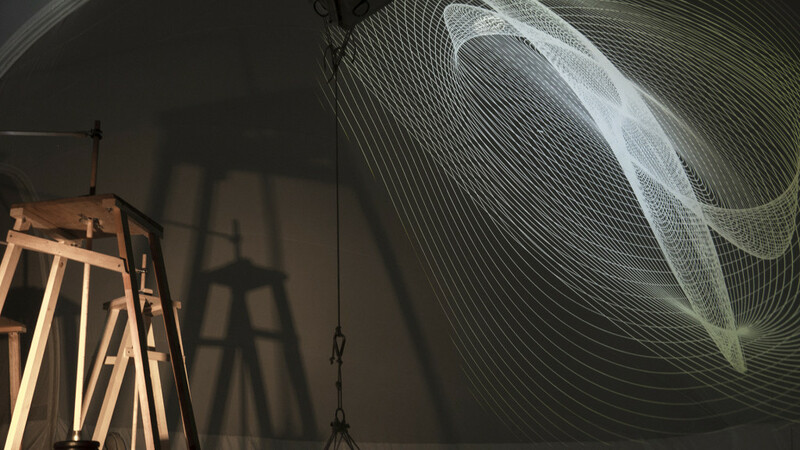 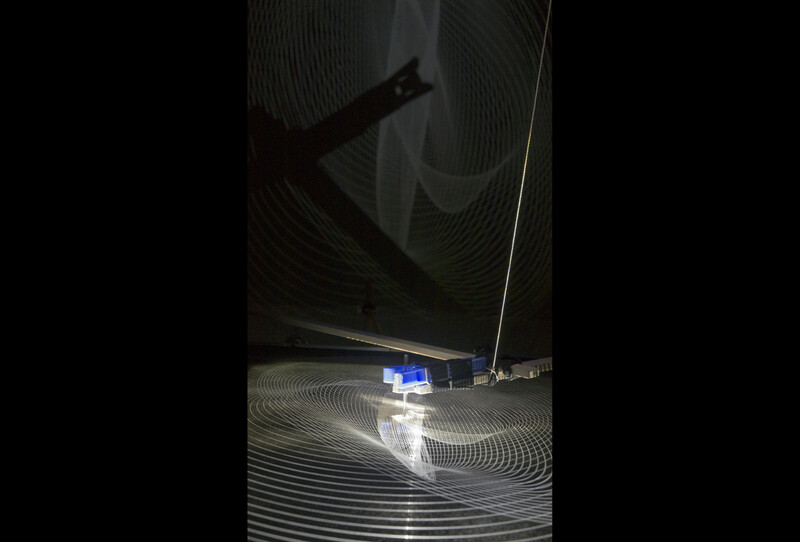 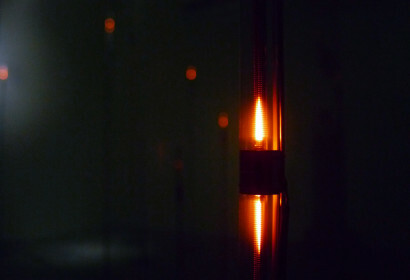 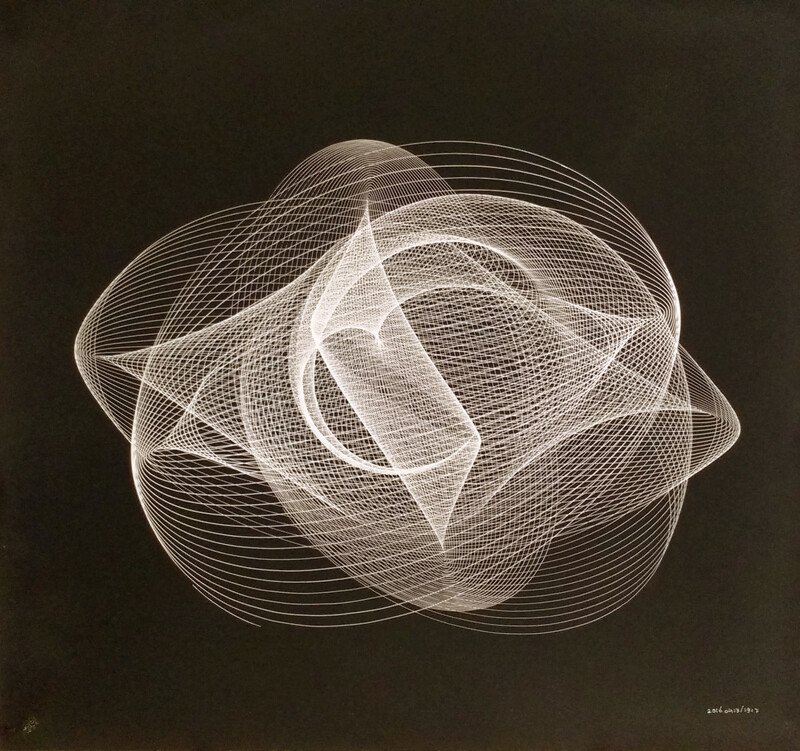 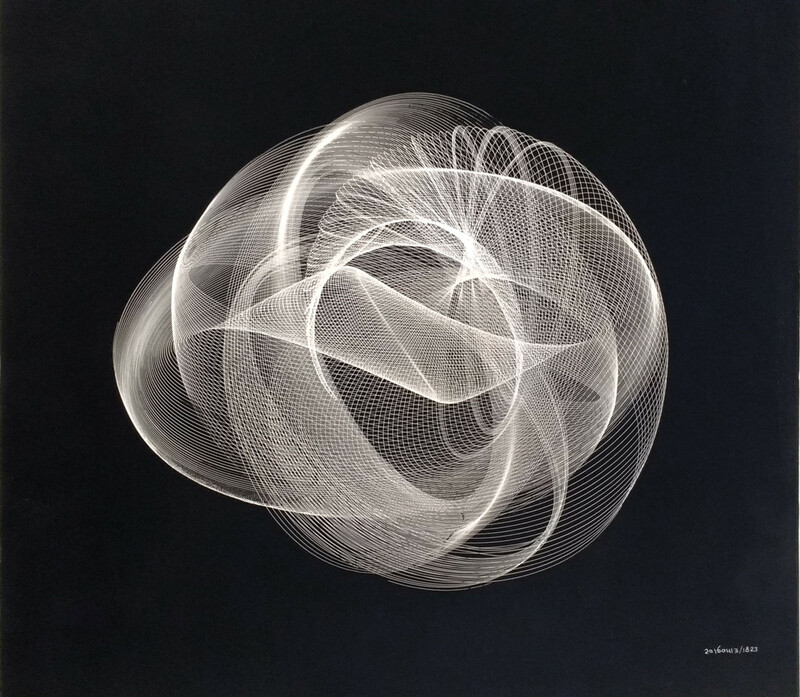 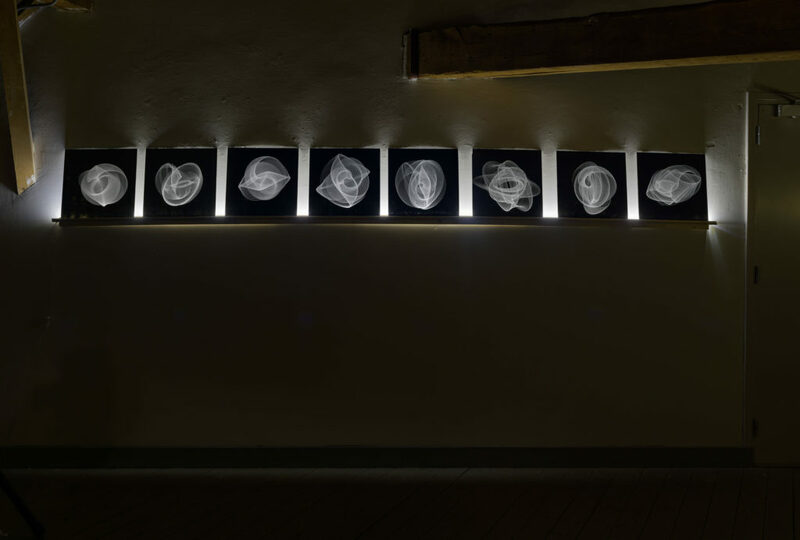 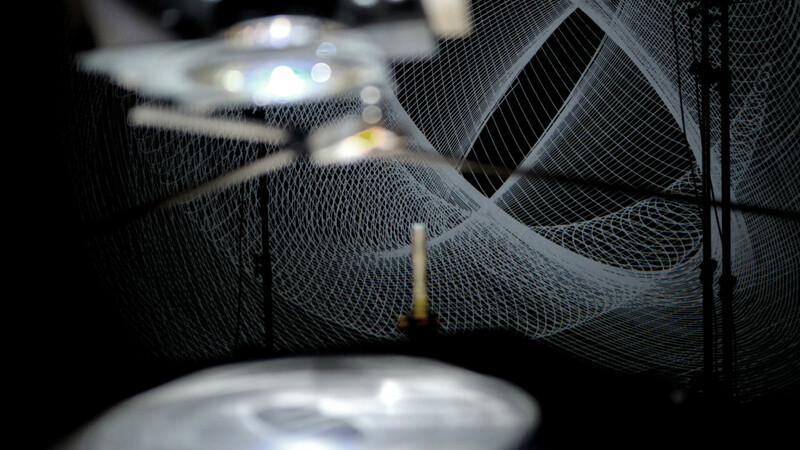 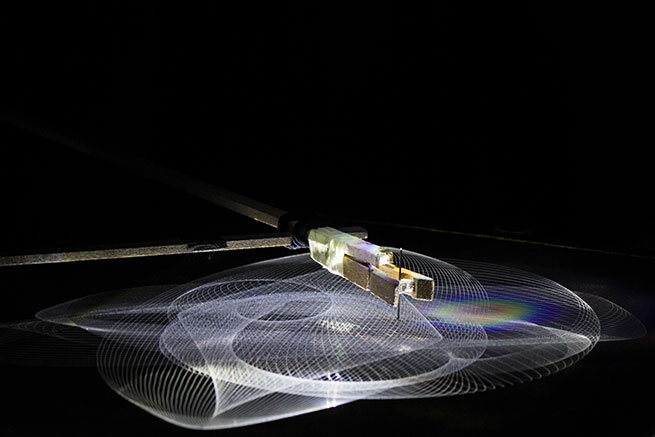 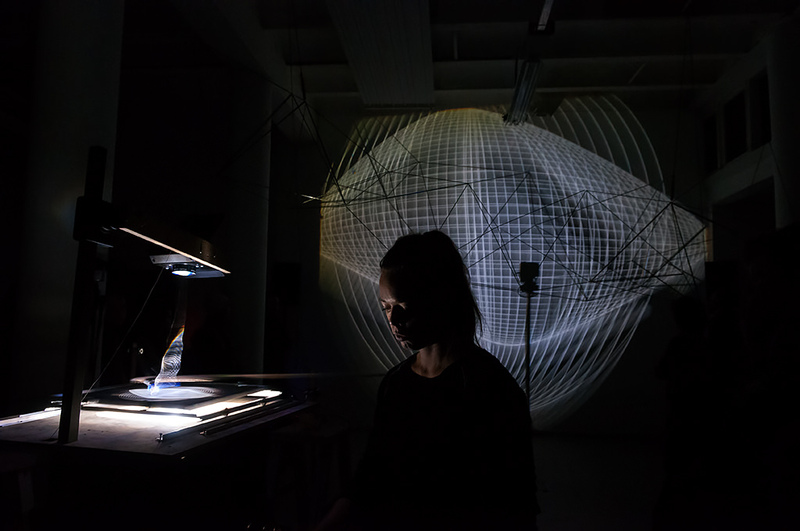 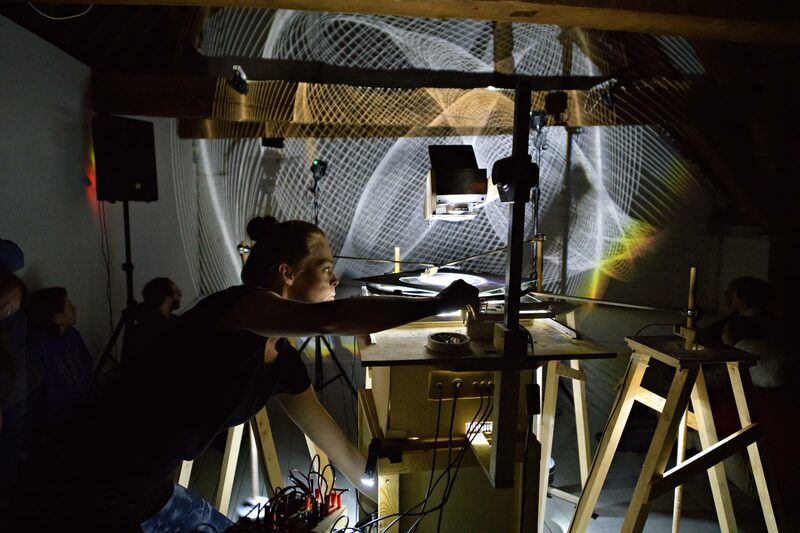 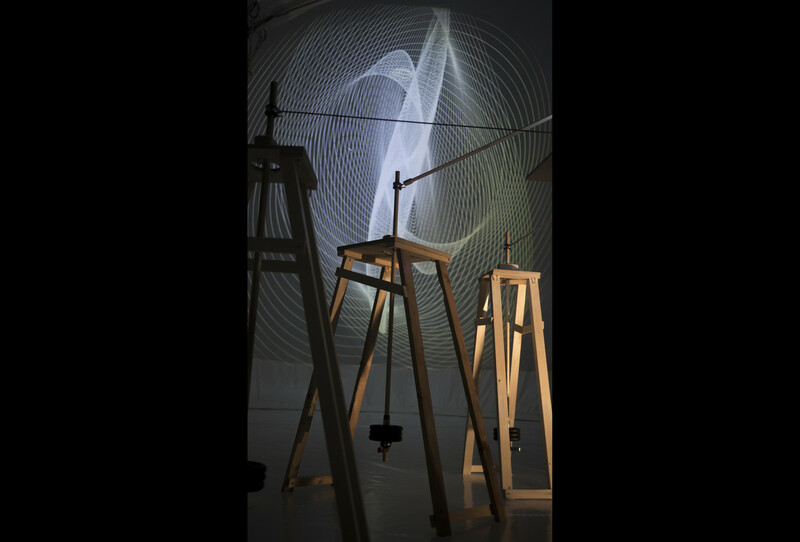 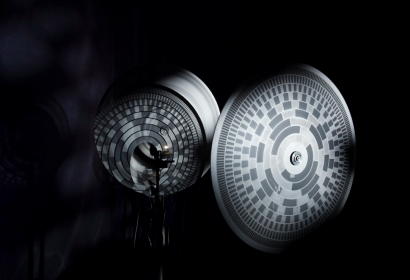 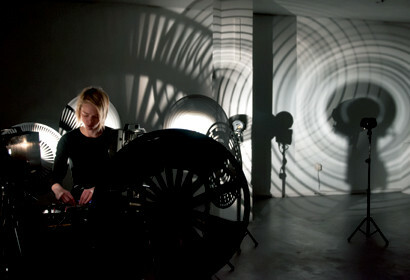 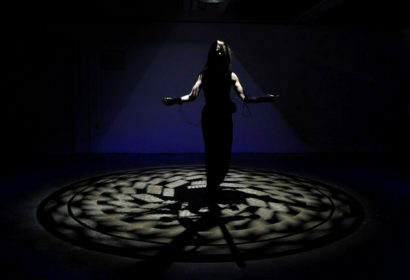 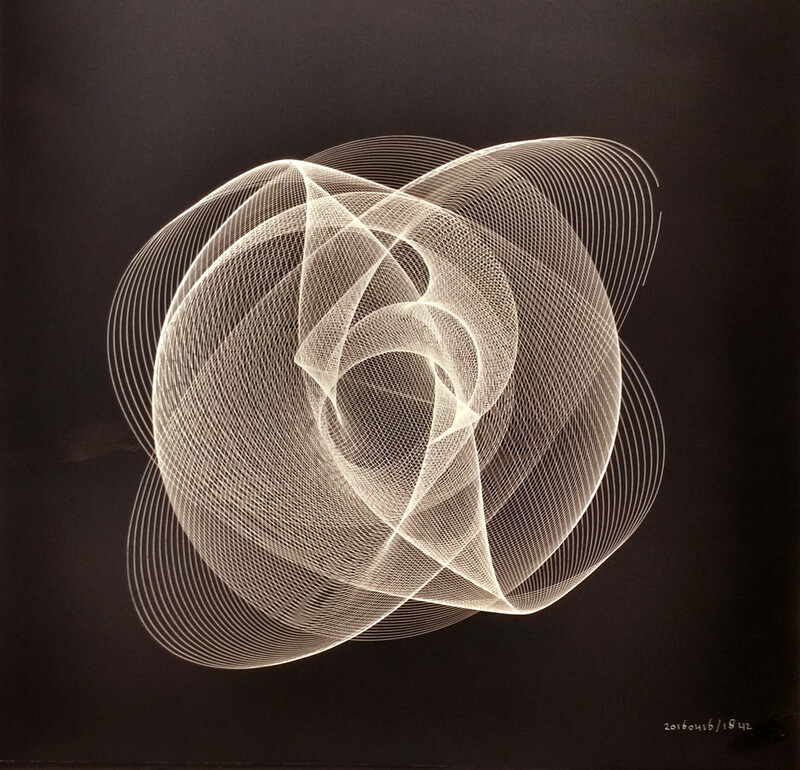 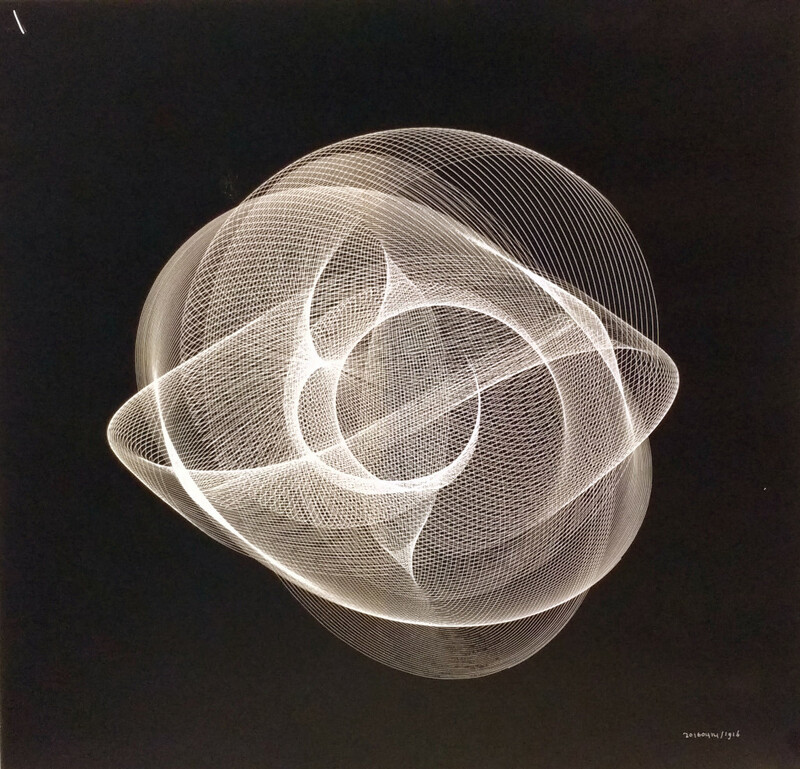 Nibiru is an analogue and mechanical performative installation wherein simple rhythmical body movements activates a squeaky pendulum drawing machine, that on its turn creates complex mathematical images. 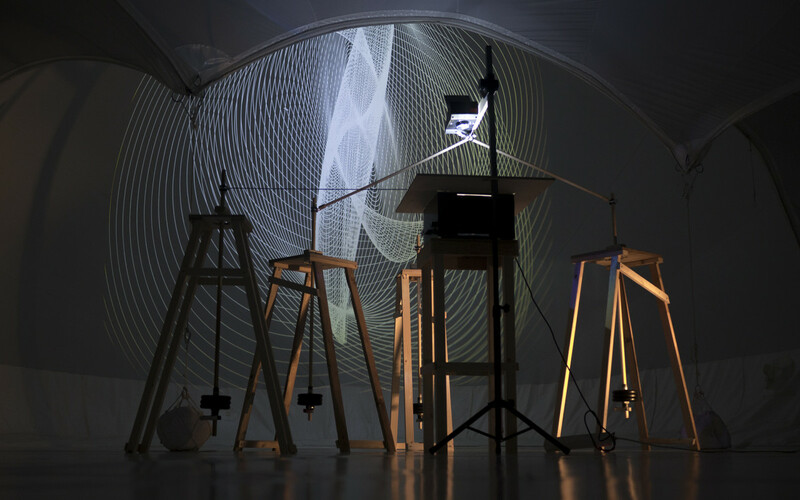 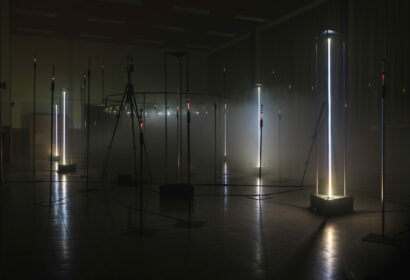 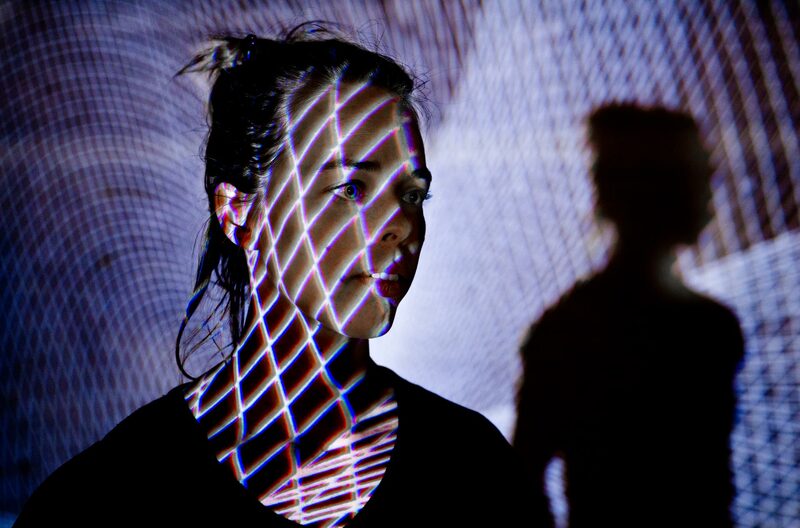 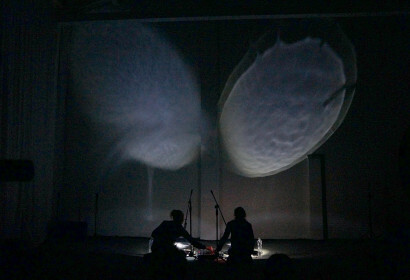 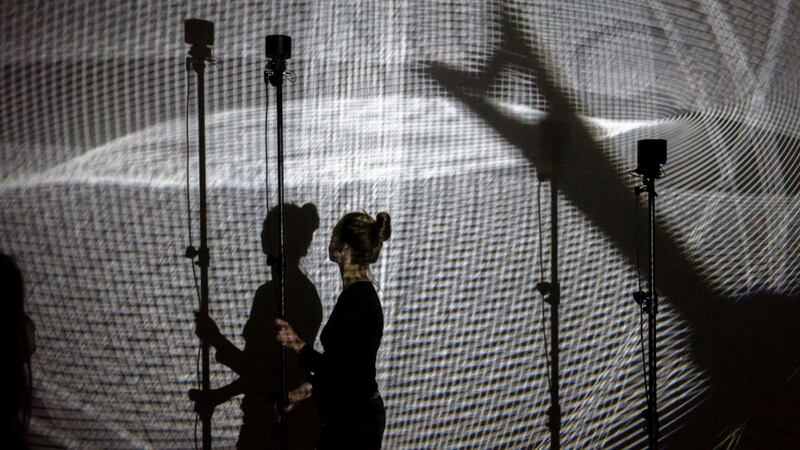 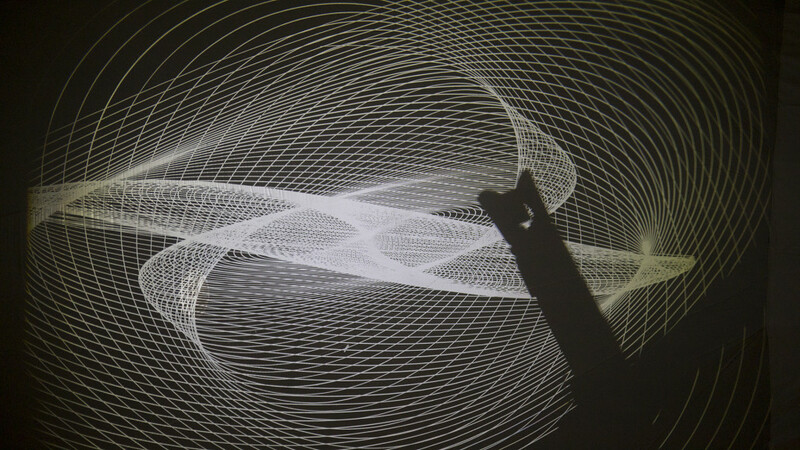 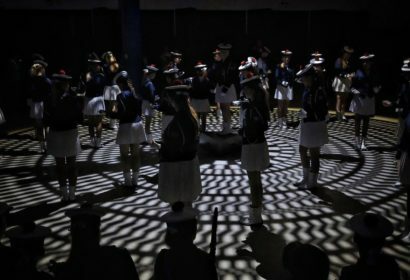 Noises of resistance are amplified and sound patterns are created by light sensitive speakers that scan the changing projected geometric line image. 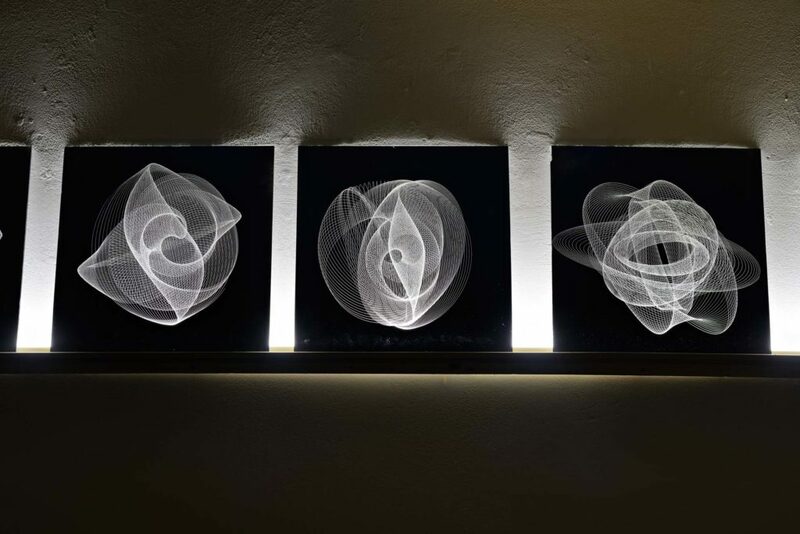 The patterns of light and sound refer often to the positions of the planets and provoke a desire for cosmic understanding of the organisation of space. 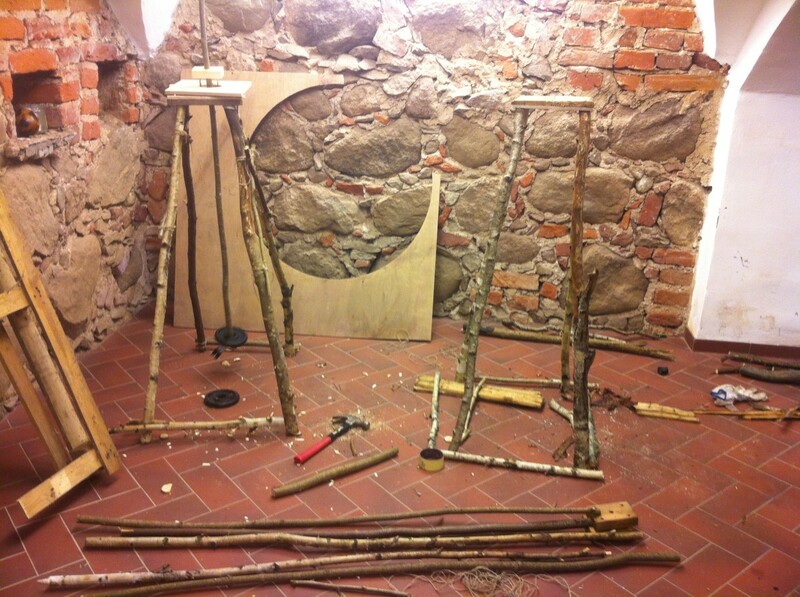 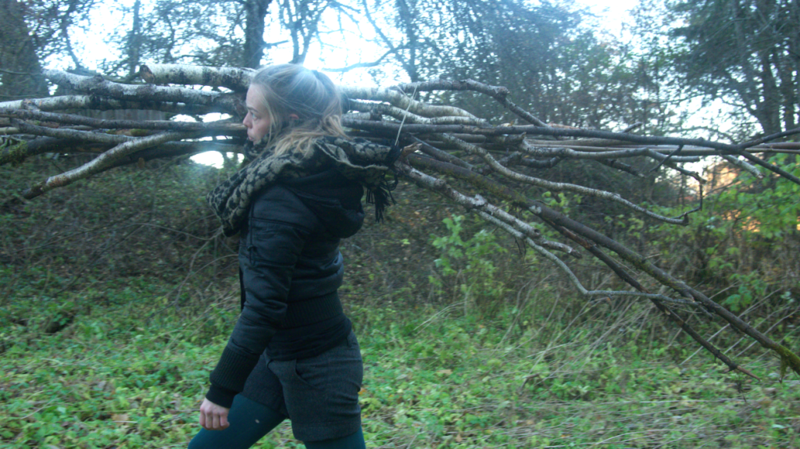 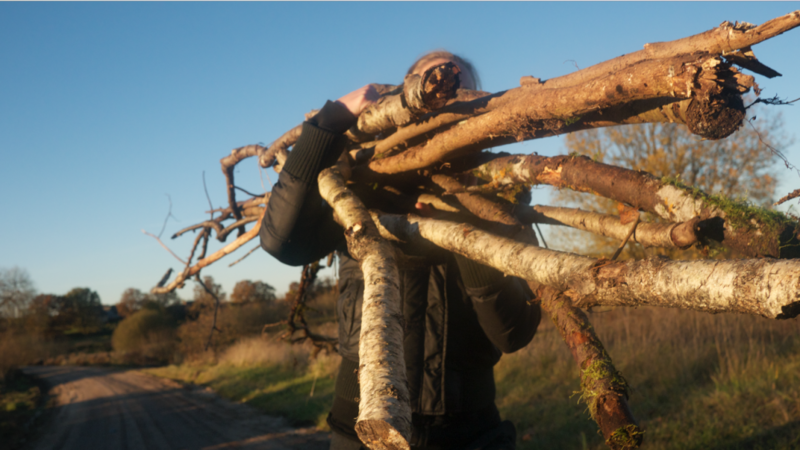 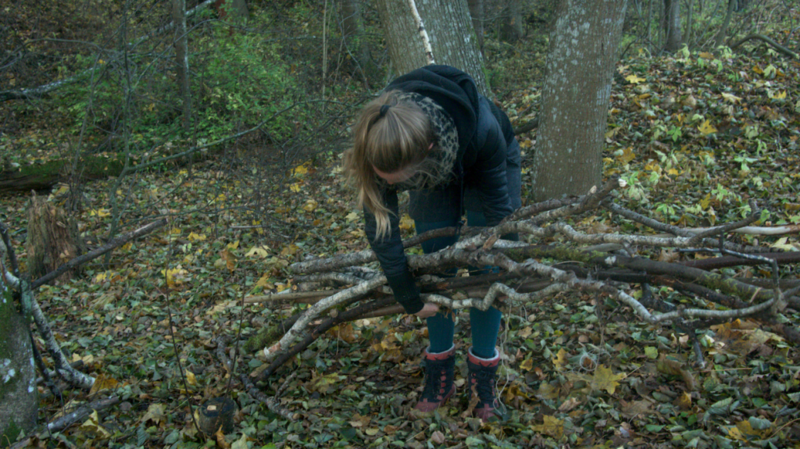 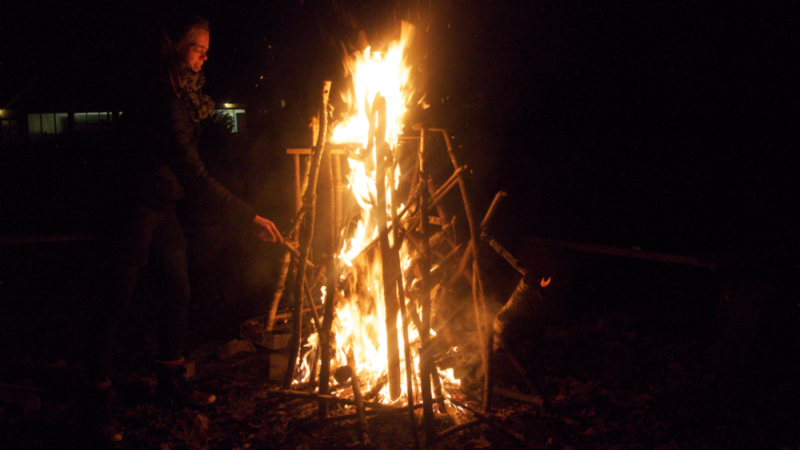 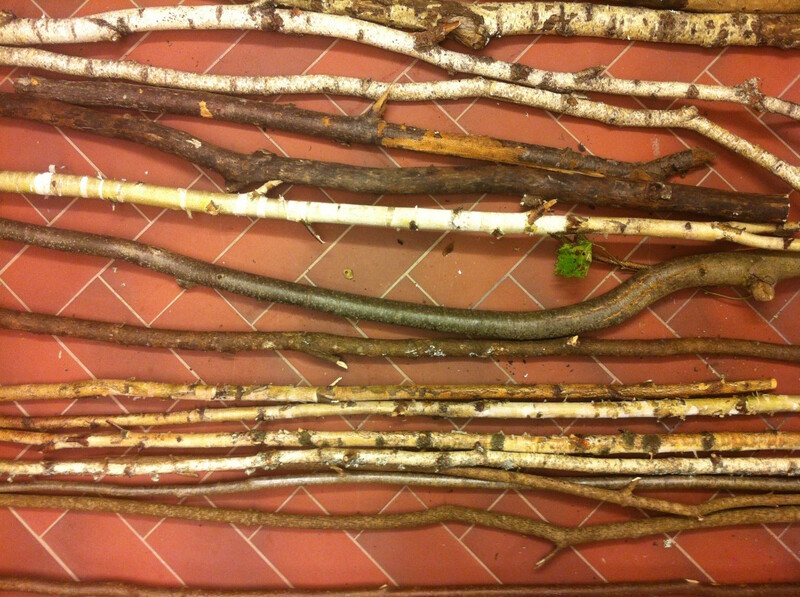 During the iii residency in MoKS October 2015 Mariska made a Forest Edition of Nibiru on the spot. 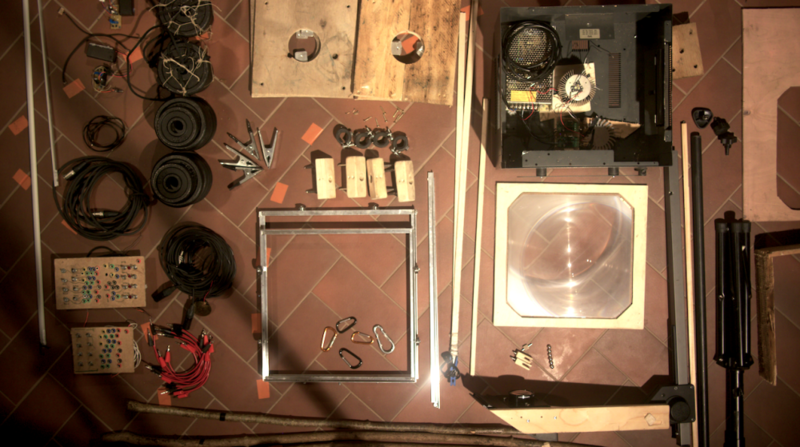 See pictures below for the process.